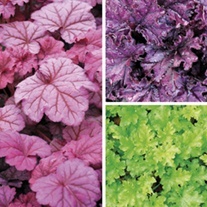 Heuchera plants are a fabulous source of year round colour and interest. Their highly attractive foliage provides much needed winter colour and will send up pretty flower spikes next spring and summer, which are good for cutting and attractive to visitng pollinators. Grow in full sun or partial shade. 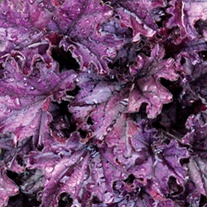 They will also tolerate full shade if the soil is moist. Heucheras normally flower from May to July. Height 25-35cm (10-14in).